Prevention is the proactive way to keep your teeth healthy and strong. While there is no way to stop tooth decay from developing completely, slowing it down by keeping teeth protectively sealed is a “coat of armor” your teeth will benefit from in the long run. Dental sealants are the solution, specifically for the harder-to-reach back teeth – the molars and premolars. These “chewing” teeth are more susceptible to the wrath of tooth decay due to their unique shape and structure, unlike the front teeth which are far smoother in surface. And tooth decay is nothing to take lightly, as it is so much more than an appearance issue. Tooth decay can seriously compromise the teeth, leading to potentially serious oral health problems down the road when not nipped in the bud before the damage is done and teeth are too far gone to get back in good standing. What are dental sealants and how does the dentist apply the sealant to the teeth? 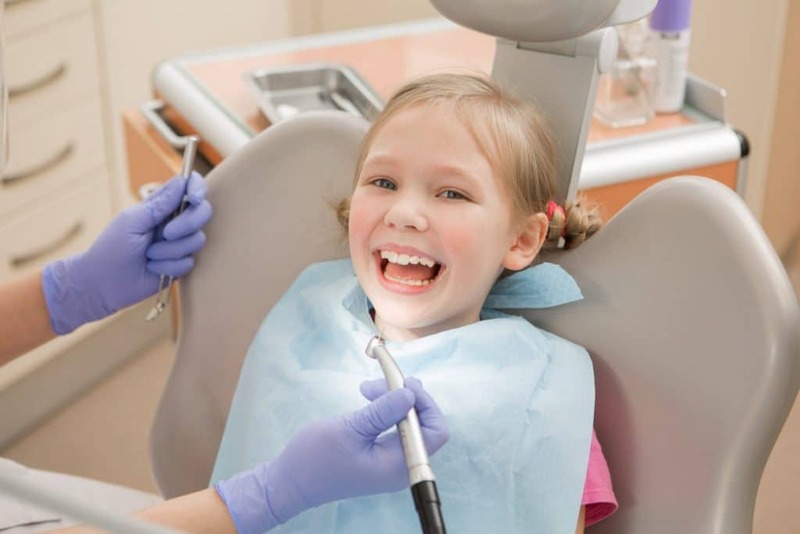 Dental sealants are liquid – a special thin plastic coating that is delicately brushed onto the chewing surface of the molars and premolars at the back of the mouth. These teeth are initially prepped for the fast and pain-free in-office process with a deep and thorough dental cleaning and plaque removal. The rugged surface of the tooth is etched slightly for more effective coverage, then the etching material is cleaned off and the tooth is dried completely so the dental sealant sticks to the surface. Cotton is stuffed onto the sides of the molars and premolars to keep saliva away while the dental sealant is being brushed on. The dental sealant is then applied by brush and securely bonded/cured to the tooth with the aid of a special light. Then you will rinse out your mouth with water and the sealing process is complete. This protective shield is a strong barrier between your molars and premolars and the grit and grime that is trying to take away your most sparkling smile. It only takes a few minutes to apply – minutes that mean a great deal to the health of your teeth for the long haul. Why don’t the other teeth (aside from the molars and premolars) get the dental sealant treatment? 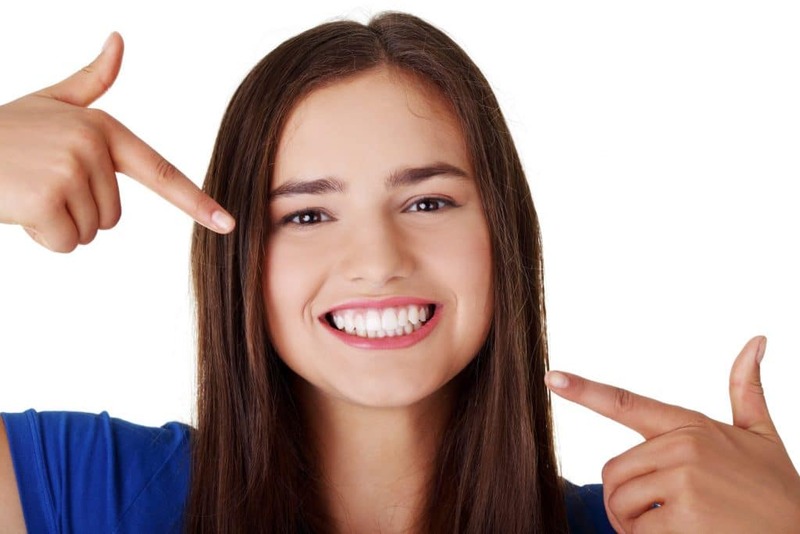 We tend to treat the molars and premolars exclusively (unless there is an exceptional issue with a patient) because these back teeth are far more vulnerable to tooth decay than the smoother-surfaced front teeth. The uneven depressions, grooves, and fissures on the surfaces of these flat-topped teeth are more difficult to clean than the teeth up front which have a smoother surface and are far easier to clean. Plaque, bacteria, food particles, and debris can get stuck, sink in, and settle into these depressions, grooves, and fissures in the molars and premolars, leading to tooth decay if left to linger. When you are treated with a dental sealant, the chances of getting cavities goes down by up to 86 percent. A few brushes on the surface of the teeth to ward off cavities is a smart step towards a healthier mouth. Am I a good candidate for getting dental sealants? 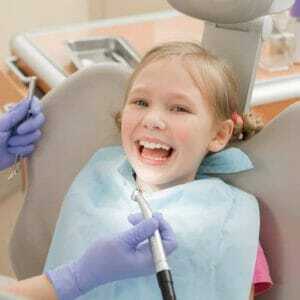 Children and teens are generally the best patients for dental sealant application. As soon as the molars and premolars come in completely, we will recommend protecting them right off the bat before bacteria and the other “bad stuff” have a chance to contaminate these new teeth. Adults can benefit too. If there are no fillings in the teeth or existing decay to be found, the dental sealants can keep these back teeth in their best shape moving forward. Dr. Barry will be happy to let you know if you are a good candidate and when the best time to get dental sealants would be. Every patient is unique, so there’s no cut and dry determination. What do I need to do to care for my teeth after the dental sealant is applied? You should brush and floss as you normally would and use a fluoridated toothpaste for extra protection against decay. You can find this type of toothpaste among the others in the dental care section of your pharmacy. Down the road at a future appointment with Dr. Barry, you may need a redo to keep your teeth in tip top shape, as dental sealants last an average of ten years before fading and being less protective. The process will be the same, and you’ll get more years of protection for these teeth. Once your “nooks and crannies” are covered, you can stress less about the dread and potential damage of decay. Discuss dental sealants with Dr. Barry and see if your teeth would benefit from the quick and painless procedure. Your optimal dental health is our mission, making every smile a success story!